My Morning Hike To Health. My son lags behind on his cell. Exercise has always been a part of my life. Starting early and introducing it to your family and friends to help them get started, if it is not a part of your or their lives, is a positive choice you will always be grateful you made. Did you know that after 50, working out at least 6 times a week is crucial for good health. A good book to read that will jump start you to increased and new levels of health and exercise education is “Younger Next Year”, by Chris Crowley. The title is deceiving. It is NOT about being younger, it is more about how exercise is a MUST for good and long term health. 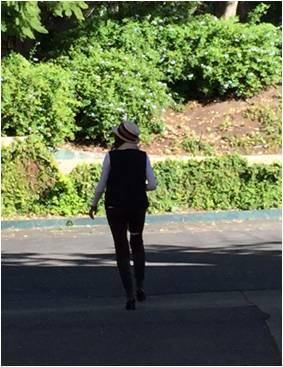 Exercise is the helpful key to turn back the much talked about biological clock. HUmineral believes in HEALTHY aging, not anti-aging. We all must age, let’s do it healthy. A recipe staple for holiday dinners and often served at my dinner parties. An easy, healthy and enjoyable side dish to play with according to your guests’ and palate. I also favor this side-dish because I can substitute flavors and texture, by adding nuts (cashews, almonds, brazillian), or fig, raisins, etc., to the finished dish. Also by adding a different herb or spice, such as turmeric or fennel, or when cooking, simmer in mushroom or carrots as another filler. All ingredients should be planned according to guest. Peel potatoes, cut in half and then half again (they will separate again at cooking, so not too small), add to boiling water, cook for 15-20 minutes. Clean broccoli cut into small bites (as a bag of frozen broccoli), cook for 10 minutes same as potatoes. Drain all. Cut cool potatoes into chunks. Prepare large dutch oven/skillet with lid to cover. Add olive oil so that it coats pot, be generous (you will continue to add as needed, so set close). Sautee onion, garlic, sea salt for 5 minutes, add potatoes, cook for 10 minutes, then add broccoli and cover. Simmer on lowest heat for 30 minutes (to desired cook preference), stirring occasionally. Just before done, add in cayenne, humic mineral and any of the herbs you like, to taste (should just be a hint of flavor). 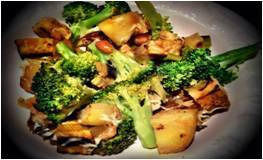 The potatoes take longer to soften and the broccoli can be less cooked, depending on your liking. *Note, I am not a person that measures ingredients. Although I have all kinds of cool measuring devices, as I LOVE to cook. I cook via eyeballing what seems right and guest number. To me the enjoyable part of cooking is the process; shopping for the meal, preparing, and cooking, smelling the dishes as they bake/cook, setting a beautiful table, and then the treat is serving my guest. I love a good dinner party. Last TIP: Big picture, it does not matter where you are eating or what you are eating, what matters most is WHO we are with. REMEMBER to ENJOY your families, friends and acquaintances, always. Happy Fall Harvest! Thanks for taking time out to read HUmineral’s Healthy Shares! Enclosed are holiday tips we hope you find helpful and useful. 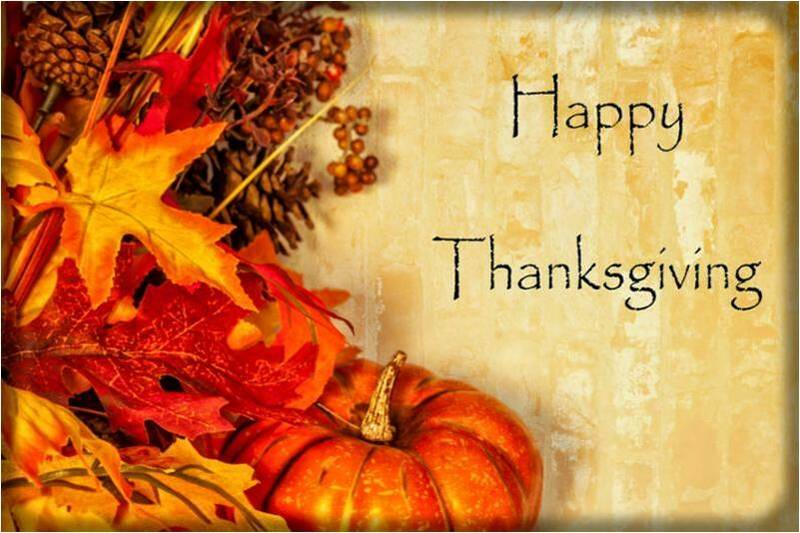 Have a beautiful and safe Thanksgiving holiday. Don’t we just love the aroma of fresh herbs and spices filling the house with delicious smells that remind us of home, family, familiarity, and some really good times. Whether you have the traditional turkey and stuffing or an Italian pasta style Thanksgiving dinner, here are some of the staples in my kitchen along with some of the HEALTHY natural healing benefits they provide. Try incorporating one “new” herb or spice to your holiday feast, or prepare a whole new dish. It is a nice treat to yourself and takes away some of the monotony of “same dish” and “same taste” yearly. It adds a little fun variety. You can start to purchase herbs and spices you may not have now, clean, chop and freeze as appropriate and pull them out at cook time. It will make your prep time a whole lot less work (or seem like it) and way more enjoyable. Preparation in all forms is paramount at this time of year and important so the cook can “enjoy” the prep process, from start to table, to end of evening. BASIL – Great flavor for cooking and adding to table water. Can help relieve upset stomach and gas issues. BLACK PEPPER – A staple, whole and cracked in grinder is best. Can help relieve indigestion. CAYENNE – Great for added spice. May help prevent heart attack. CILANTRO – Awesome for salads, sauces (one of my favorite), use in salads, instead of cucumber. Gives salad a fresh tasting punch. High antioxidant, antibacterial, antimicrobial. I also add to my smoothies/tonics. CINNAMMON – Add a little cinnamon to almost anything. It helps reduce blood sugar spikes from simple carbohydrates like sugar and aides lower blood pressure. CLOVE – Add to pumpkin pie, yams and stuffing. An anti microbial. DILL – A great garnish and additive for sauces, soups, sides and red meat. An aide for colic, gas and heartburn. FENNEL – Great for soups and garnish. May reduce bad breath and body odor. FENUGREEK – Another great one for soup. Helps flush toxins. GARLIC – Almost everything and a staple in many kitchens. Great additive for soups, marinades, salads, casseroles and all around. A natural antiseptic. GINGER – Great spice to cook with and cleanse palate. Anti-nausea remedy and cleansing. HUMIC MINERAL – This is probably a new one for you. I add Humic mineral to many of my dishes and to my morning tea/coffee/smoothies. For newbies, you can add to soups, beans, baked breads or a teaspoon to water glass for mineral nutrient. I use as I would similar to a spice, by adding TSP’s to TBSP’s to dishes. Remember it is a food and it does not change the flavor. MINT – Great for table water, garnish and holiday cocktails, even atop desserts. Cleansing and eases hiccups. I also like to munch a few pieces of mint after dinner. OREGANO – Great spice for sides, rice dishes, appetizers and main dishes (not just for pastas). Helps soothe stomach muscles, and a great anti-viral. ROSEMARY – Great seasoning for marinade, insert in turkey, add to stuffing, bake into bread/muffins. An antioxidant. THYME – Great for turkey, stuffing, rice dishes, potatoes, baked into bread, and marinades. Relaxes respiratory muscles. TUMERIC – Excellent for soups, marinades, vegetable dishes, rice dishes, and sauces. Great antioxidant/anti cancer. TIP: You can create centerpieces and garnish your finished dishes with your fresh herbs. They smell great and make your dishes look even more appetizing on table! TIP: Fennel is an important herb that has been used for years in Chinese, Indian, Arabian and Western medicines. Aside from its value in cooking as a spice, it has been traditionally used as an aid to digestion and it has many healthy benefits. Fennel tea is a different and great choice to try and to add to your tea cupboard. Sip early on Thanksgiving morning for a change, as you awake and prepare, or end the Thanksgiving feast with a pot for guest as alternative (or addition) to the norms (throw in mint or ginger according to palate). Fennel is prepared from crushed or ground mature fennel seeds. These seeds are rich in important volatile oil compounds like anethole, fenchone and estragole that are believed to be responsible for its antispasmodic, anti-inflammatory and antibacterial/antimicrobial properties. Fennel can help with gastrointestinal problems like bloating, IBS and flatulence. Drinking fennel tea regularly may reduce incidence of bloating and flatulence. This has a beneficial effect on our digestive system. These compounds help relax the smooth muscles of the gastrointestinal tract and can assist in reducing stomach cramps and bloating after meals. Digesting food and trapped gases pass through our system more easily, there is less chance of foods fermenting and putrefying in the large intestine. In this way, the tea can be a very effective flatulence remedy, particularly for those “wind” issues that can result from undigested foods getting stuck in our colon. Exercise – start your holiday morning/s or vacation with exercise. If this is not your regular practice, 20-30 minutes is a great. It will give you a natural lift that will not only benefit your overall health, but it will provide you with energy as you move through the day with cooking, games, family, last minute store runs, etc. I usually put my turkey in at 5am and then do a short hike alone, or with a friend if doable. I love the Fall weather for hikes. Otherwise a beach walk if area appropriate or a yoga class, even if it’s on your mat in your own home for 20 minutes. Treat yourself. Stay tuned to our next installment of Candice’s Corner, featuring “Benefits of Hiking” and a special personal recipe! LET’S GIVE IT THE ATTENTION IT DESERVES. Glow and Renew. What a great time of year to add something unique and valuable to our personal care routines. Does your skin need extra pampering to combat drier weather, or sun damage? Would your hair benefit from deep conditioning after blow dry bars, sun bathing, heat appliances and chemical color hair treatments? Well, let’s get SKIN deep, up close and EXTERNAL with HUmineral’s HUmic Hydration Skin Spritz for face l hair l skin and TOTAL BODY. 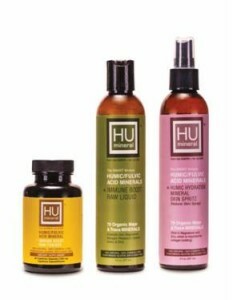 Spray on your HU-mineral Humic Hydration Plant-nutrient Skin Spray after shower to damp/wet hair, face, degligee, under arms and entire body. May use on wet hair before blow-dries or after blow-dry, for mid-day fly-away’s, before and during sun bathing and night time moisture care. Every day for your healthy-beautiful skin routine. Organic Major and Trace unique derma MINERALS, a topical tonic treatment loaded with wide-spectrum antioxidants and electrolytes delivering nutrition to support a healthy dermal texture and appearance, while supporting stressed skin and promoting regeneration and a pH balance aiding reduced inflammation. There will probably be enough pumpkins for Halloween this year, but that might not be the case for the canned pumpkin used in pies, come Thanksgiving, according to crop experts in Illinois, the country’s top pumpkin-producing state. Large canned-pumpkin manufacturer Libby says yields could be off by as much as a third this year in Illinois, where, according to the University of Illinois, 90 percent of the pumpkins grown in the United States are raised within a 90-mile radius of Peoria, Illinois. Most pumpkins are processed into canned pumpkin and canned pie mix. The town of Morton, near Peoria in central Illinois, is the self-proclaimed Pumpkin Capital of the World. Morton is the location of a Libby’s® pumpkin processing plant owned by Nestlé Food Company, which cans more than 85 percent of the world’s pumpkin each year. 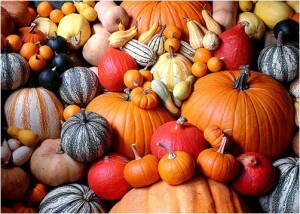 The U.S. pumpkin market is regarded as limited and seasonal. Pumpkins are grown primarily for processing with a small percentage grown for ornamental sales through you-pick farms, farmers’ markets and retail sales. Next to Illinois, California is the second-largest pumpkin producer in the country. The list of crops affected by California’s ongoing drought is growing. This time it’s pumpkins. Lack of water is forcing many pumpkin growers to face the possibility of plowing over their pumpkin patches sooner than later. So if you like and want good ole’ pumpkin pie for all the upcoming holidays, NOW is the time to pumpkin up! The Fall and Winter season is fast approaching. At this time of year we tend to fill our medicine cabinets with the most powerful remedies to guard our immune systems as we power through weather, work schedules, holidays, travel and general exhaustion from all the extra activities with family and friends. A concentrated Liquid, pure Vegetarian Capsule or a topical Mineral absorbing Skin Spray (for face, hair, skin, & body), for all ages. HUmineral Humic/Fulvic Acid pure plant-based MINERAL, 100% raw, chemical free, product that delivers a difference. No fillers (ingredient dilution), excipients or synthetics. The real and major benefit of HUmineral HUmic mineral are the powerful life-giving electro lytes, and poly-phenols (anti-oxidants) it provides; feeding our cells and nourishing our bodies. A few reasons WHY MINERALs Matter! Make sure you check out the post on: WHY ARE MINERALS SO IMPORTANT TO OVERALL HEALTH and the MISSION of HUmineral? WHY ARE MINERALS SO IMPORTANT TO OVERALL HEALTH and the MISSION of HUmineral? (A Food in Supplement Form to FEED the CELL which aids the entire body). BORON: Enhances the body’s ability to absorb calcium and magnesium; aids beneficial levels of estrogen and testosterone in healthy post-menopausal women and helps convert vitamin D to its active form, supporting the absorption of calcium. CALCIUM: This very well-known essential MAJOR mineral aids the building of healthy muscle mass, healthy hearts, and healthy bones. CHLORIDE: Aids and works together with electrolytes producing healthy stomach acid and maintains fluid balance. COBALT: Recognized more as Vitamin B12; it is key for cellular blood production and nerve support. COPPER: Copper aids enzyme function. IRON: Humate (HUmic/Fulvic) is so important because it carries every mineral the body requires. Iron is one of the most essential of all MINERALs in the body. We know PROTEIN is important for muscles, but it is the iron, which is also available in HUmate (HUmic/Fulvic), that allows the PROTEIN to work. MAGNESIUM: Paramount for collagen building. Aids chelation and toxin rem oval. A MUST for strong bones and healthy hearts. MOLYBDENUM: Necessary to aid processes in body, such as iron utilization. NICKEL: Contains B vitamin co-factor and is part of Trace Minerals. PHOSPHORUS: Aids energy and stamina. POTASSIUM: Aids electrolyte count balance. SELENIUM: A key mineral and provider of antioxidant enzymes for the body. SODIUM: Like magnesium and zinc supports collagen, and magnesium and calcium are both needed in the right amounts in body, sodium is a key electrolyte that works together with potassium. SULFUR: A key synergistic mineral working with amino acids. ZINC: One of the most important minerals to aid collagen in addition to being known for its ability to boost the IMMUNE system. No matter the vessel, whatever the path, you are here with purpose. FBE’s high-tech “Space Age” fitness + detox equipment, along with their friendly, professional and private attention, did make a difference … in a good way, after my first visit, and each visit proves to be the same! 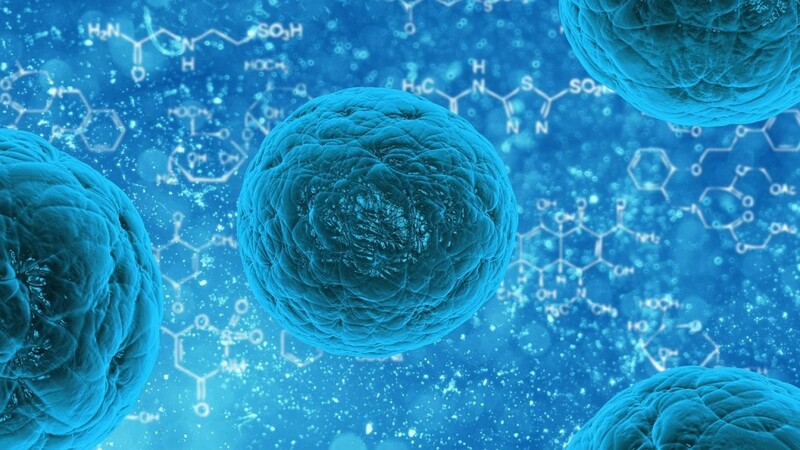 Their Vibration Machines maximize body movement and deliver low-impact core and supportive muscle results, delivering oxidation to cells, (and if you are a follower of HUmineral’s mission, you know we are all about cellular health – HEALTHY CELLS = HEALTHY BODY), and a firm, toned look like no other. They also offer Lymphatic Compression Massage Suit therapy, which helps to increase the flow of lymph and eliminate fat + toxins. One of my favorite services along with their Infrared Sauna pods – lined with jade stones. Each pod is set up for you ready to go with toweled linens – providing the highest-quality personal hygiene experience alongside unencumbered plush comfort. At the end of my workouts, I love sweating out toxins for 30-40 minutes, while relaxing in the Infrared pod while listening to the tranquil music and looking at the peaceful decor). I always leave wanting more! I will point out, FBE SPA offers a unique difference with their Infrared Sauna that separates them from the rest: each pod provides a “dual-detox” using Far and Near Infrared therapy. In a typical walk-in sauna, your entire body enters as a whole – making it very hot for your body and head (can also be very dehydrating for our hair) – and less likely for you to achieve required health results because you become overheated. You also sweat more “water” weight in conventional saunas, rather than detoxing on a cellular level. With FBE’s Infrared Saunas, your head is outside the pod for easy breathing and relaxation, allowing you the required time to get healthy benefits. Your body is also able to heat up from the inside out (core), allowing you to “work out” in the sauna and sweat out toxins on a deeper level. We yogi’s know our CORE is paramount! Whatever your goal may be: managing your weight to see a proven and visible difference, learning more about nutrition to leave the “diet” affect of health and fitness behind, reach a higher level of fitness/health, or trying out a unique spa with unique equipment — where uninterrupted service, privacy, and a personal touch are the norm, delivered with calmness and peace from start to finish — FBE Spa delivers. I even got cranberry drops in my alkaline water, after my infrared spa treatment! There is no barrier to Firm Body Evolution’s service. Whether you are a beginner, seasoned fitness trainer, teen, pregnant mom, over worked professional, TV personality, professional athlete or elderly… FBE SPA will assist you with the right “fitness equation” for any age and fitness level. FBE’s goal is to educate and inspire one to better health and your personal best, which in line with HUmineral’s mission. As summer comes to an end, the Fall holiday “busier than usual routines” begins Engulfed in holiday planning, parties and practices, routines are challenged. We tend to be more social, expand our food selection choices, ditch fitness routines, and take an overall detour (forgetting to give our body’s the amount of time and rest it truly needs). We thought this would be a good time to remind our Healthy Share souls about Firm Body Evolution (FBE). If you have not yet discovered this unique and holistic Transformation Spa in West Hollywood… you simply must! 10/20/30 Method – A holistic fitness + detox experience. It works your body out in a whole new way. Their Transformation Weight Loss Program is a step-by-step, all-natural homeopathic diet that helps reset your body’s metabolism. As a bonus, while on the program, clients receive Personal Training 3x/week and 30-days of FBE’s VIP Membership, giving full-access to relaxing spa services like the Lymphatic Massage and Infrared Sauna. 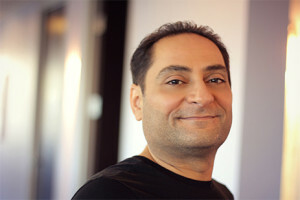 Joseph Harounian (Firm Body Evolution founder and holistic health cheerleader) transitioned into running his trend-setting health spa business after experiencing a multitude of personal health challenges. After years of researching remedies, multiple pharmaceuticals, and being rung-around-the-rosie with a myriad of “traditional health modalities” (that only seemed to make the problems worse), Joseph longed for a better solution. In time, Joseph discovered a holistic practitioner who offered a variety of alternative remedies – almost immediately, he experienced HEALTHY results. After doing a simple Food Sensitivity Test test, Joseph found that his challenges were nutrition related. After eliminating a few items from his diet, setting up a structured fitness routine, and finally learning to listen to his body, Joseph’s health challenges subsided completely. Much of what is offered today at FBE are the same technologies that helped Joseph survive…and finally start to thrive! Click Here to Know More about FBE SPA. Candice’s Corner – HUmic Acid MINERAL? 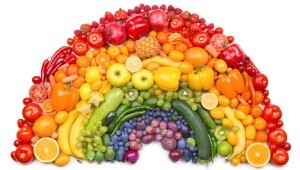 To simplify, we are familiar with eating strawberries, broccoli, carrots, leafy greens, and beets. If we were to eat that beautiful green leaf atop the strawberry or eat the roots of beets, the stems of those delicious greens in our salads …..we would be munching on HUmic MINERAL, which is created by HUmates. HUmic Mineral is naturally occurring in our foods (“humates” are a breakdown product from plants, they are throughout the entire plant). They become humates after the plant’s cellulose has been broken down and oxidized. ), we’ve just been tossing the best parts of our plants (FOOD) away. Remember to toss back to the earth for recycling. Healthy Body, healthy planet, healthy with HUmineral! We continue as promised with more healthy lessons from FARM favorite, Marguerite! In our last HUmineral Healthy Share, we got to learn more about at Bio-Dynamic Farming and we shared a bit about Marquerite Nesteruk. We visit more here with Marguerite to learn how you may have your own garden area; back yard, window sill or deck style, farm to table fresh healthy favorites, packed full of HUmates (MINERALs). Lets learn and grow …. A School Garden & Compost Coordinator, Environmental Educator, Kids Nutritional Chef Instructor, Urban Farmer & Reiki Master. 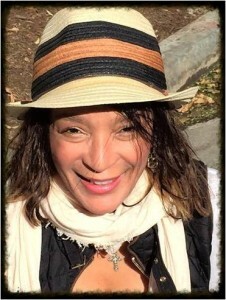 Marguerite began her journey as an Interior Design/Fashion Merchandising & Marketing professional, graduating from Parsons School of Design in NYC. After earning her degree, she moved to New Zealand on a one year work-holiday visa. It was in New Zealand where she discovered a deeper love for plants & nature. Marguerite worked as an herb producer, in the vineyards, volunteered on farms, and worked at hostels amongst other odd jobs. Upon her arrival back to New York, Marguerite worked for retailer Anthropologie, as the Assistant Visual Merchandiser & Display Coordinator. She quickly realized the work and materials for these displays had a short window life span, with most displays & materials ending up at a landfill. It was then that Marguerite decided to put her inately natural spirit toward a process that would help be purposeful for the future of the environment. 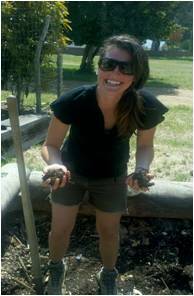 In 2009, Marguerite moved from Long Island, NY to Catalina Island, where she worked as an Environmental Educator turned Garden & Compost Coordinator for Catalina Environmental Leadership Program (CELP). Her passion for the environment & plants grew deeper roots, while educating the youth on how to be better stewards of the environment. 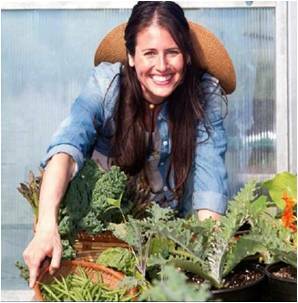 Three years later, she moved back to New York to pursue a career as a School Garden Coordinator for Slow Food. Her work for Slow Foods East End Chapter had her working with six different schools ranging from PreK-12th grade on sustainable gardening. 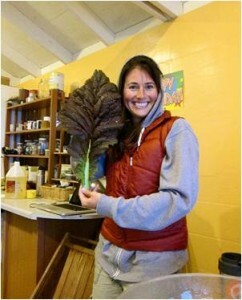 She was also a contributor to the ‘Delicious, Nutritious Food Book’ with Edible School Gardens. The book provides food education, recipes & tips for children to learn & be more involved in the kitchen at home. You may purchase or view the book in PDF format here: http://www.edibleschoolgardens.org/foodbook 100% of the proceeds go to supporting school gardens on the east end of Long Island, NY. 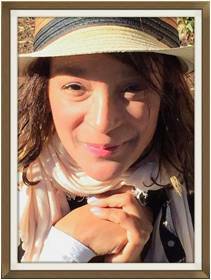 Lucky for us west coasters, Marguerite now resides in Los Angeles as an Urban Farmer (vegetable gardener) for a large scale client in Malibu & is working for One Gun Ranch Biodynamic) tending to their medicinal garden, designing farm boxes & drying plants for teas. AWESOME! We LOVE this and got to experience this amazing and beautiful work on our visit to One Gun Ranch. We also got to taste the delicious GREENS. You can too, by visiting Erewhon Natural Markets, Vintage Organic Market, Pacific Coast Greens and OLLO Restaurant, all located in Malibu, CA. 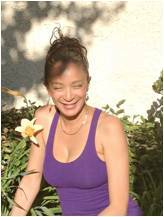 In 2012, Marguerite received certification as a Reiki Master, in Permaculture Design, Life Labs ‘Creating & Sustaining Your School Garden, & is a recent UCCE Master Gardener of LA graduate. 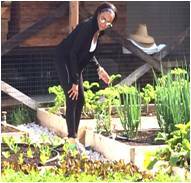 She also holds various certifications from the ‘National Farm To School Network’ with a focus on school gardens. 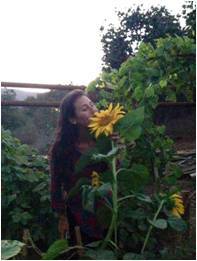 A personal goal for Marguerite is to be a School Garden To Kitchen Teacher at a Waldorf, Montessori or Private School. Ultimately, in a few years down the road, Marguerite would like to run her own business integrating her love for plants, art, education and the spiritual world. Marguerite is happy to provide an array of different services that involve health, healing and education, which encompasses HUmineral’s mission. Marguerite will work with families to provide children and parents a “Farm-To-Table” experience, &/or design plans for home vegetable gardens. Additionally, Marguerite provides a unique service to gardens or farms giving Reiki & Sound Healing to the plants and land. This is a service based on Everything is ENERGY, and all in the Universe vibrates…right down to our CELLS! Sound Vibrational Energy is using sound waves to create a healing environment. Just as when you throw a stone in a river & the water ripples out, so do sound waves as they travel and communicate with the plants and soil. The sound energy will travel to the areas that may need healing or nourishment, essentially providing an optimal environment for plants to grow sustainably. 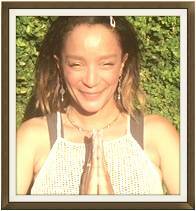 Lastly, Marguerite is extending her Reiki & Sound Healing to Bee Apiary’s, due to colony collapse disorder. Providing Reiki & Sound Healing is one positive way to strengthen the colony against viruses. This service is a new endeavor for Marguerite. She believes this process can only benefit Bees & help them strengthen their immune system against viruses & toxic chemicals. This service would be performed when Bees are at the hive so the healing vibration is effective for the full colony. Marguerite hopes to continue finding ways to help contribute to the healing environment of Bees. After all, if it wasn’t for the bees, most of our produce, and much more would not exist. I remember my mom asking me to go out to the family garden and pick veggies; tomatoes, and fresh greens for dinner salad, just out our back door, across the yard. My response, “I don’t want “that” food, I want to go to the market and get fresh produce and groceries”. How powerful is knowledge, that I would come to know that our garden was actually the “FRESH PRODUCE”. It has always been my goal to have a small garden again, where I can grow my own veggies, greens and herbs one day. After HUminerals’ visit with farm educator Marguerite Nesteruk (who we will visit with in our next Healthy Share), and One Gun Ranch, it is now at the top of my priority list. Living mostly in California, I am fortunate to have access to many farmers markets, which I frequent often. To support the continued work of OGR and taste some of their delicious organic grown greens you may visit the following locations: Erewhon Organic Markets (Los Angeles & Calabasas), Vintage Organic Markets, PC Greens Market and OLLO Restaurant (formerly Coogie’s), all located in Malibu, California. I personally found a new favorite at the Ranch. Instead of mustard on your sandwiches, try fresh grown mustard leaf greens… all I can say is get ready for a new staple. YUM, YUM and more YUM! We will spend some quality time highlighting Marguerite in our next HUmineral Healthy Share. Marguerite says a huge part of her purpose is to educate kids and adults on sustainable gardening & nutrition and teaching the importance of how it connects with nature and man. We will learn about sustainable gardening, composting, and lessons of farm-to-table. There were horses, dogs, goat, pigs and everyone of these animals were friendly and very loved. 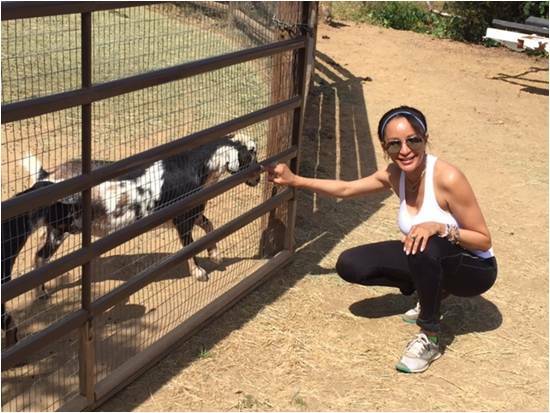 Most the animals roamed free, but as you see here even fenced the goats walked right up and ate out of your hand in a calm easy fashion. Beautiful!